We may not be able to control the chaos of the world at large, but we do control the choices we make and the paths that our lives will take. We — the dreamers of the daytime — choose not to sit back and let life wash over us. Instead, we choose to be Captains of Us. 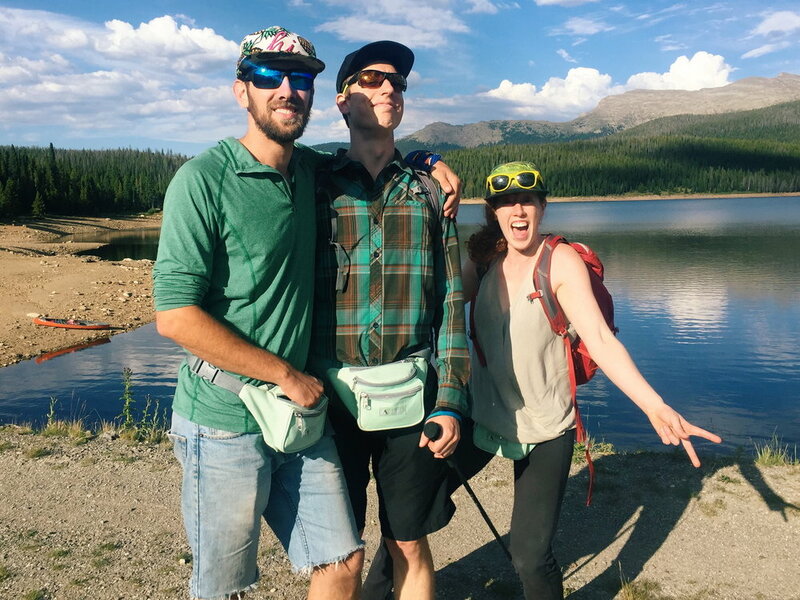 The Captains are three friends adventuring through the world, frequently with matching teal fanny packs. They’ve hiked the Pacific Crest Trail, suffered through the Hawaiian rainforest, and battered themselves against the Colorado Rockies. If it’s fast, hard, or far, they probably like it: rock climbing, ice climbing, ultra-running, thru-hiking, backcountry skiing, and more. They currently reside in Colorado's Front Range, in the foothills of some mighty fine adventure territory. The Captains and this site have been featured as part of an article on tips for hiking the PCT on The Clymb. If you’d like to donate to our adventure fund, click the button below! All donations will go directly to enriching our adventures so that we can post more cool stories and photos. Want our blog emailed to you directly? Sign up with your email address to receive blog updates straight to your inbox. When Dan pitched the idea of hiking the PCT, Jonathan had no idea what he was really signing up for: this 2,600 mile journey was quite literally his first camping trip. As a lifelong distance runner, though, Jonathan quickly found his pace. While on the trail, he met his hiker trash sweetheart and they moved to Colorado in 2015 with everything they owned stuffed into a Hyundai Tucson. Since then, Jonathan has truly become a mountain native. During this time, he has learned to backcountry ski and rock climb, and has fallen in love with scrambling in Boulder’s flatirons. Oh yea, and uh… he makes some pretty nice pictures. Molly hiked the Appalachian Trail in 2012 and discovered that she was Hiker Trash through and through. She met the Captains while on a casual, 2200-mile section hike of the PCT one summer and then moved to Colorado with Jonathan to find some real big mountains. She grew up snowboarding in Vermont and her splitboard has found some good use up in Colorado’s high places. In the last few years, she has run her first 50-mile race, relearned to ski, and climbed some gorgeous rocks. Professionally, Molly is a writer, editor, and data nerd. Dan feels at home in nature; hiking, biking and climbing. He spent two summers as a wilderness guide in New Mexico at Double H High Adventure Base and another summer as a program councilor at Philmont Scout Ranch while earning a B.S. in Biochemistry at Mizzou. Dan loves science, art and design, which makes connecting with nature a unique experience. Thru-hiking the trail was a dream finally realized. Encouraging others to be conservation-minded and connecting with people was just one of the benefits the trail afforded him. This whole damn trip was Dan's idea, and his biggest achievement is that Jonathan made it to the end without getting himself killed.